A clear head and a working fire extinguisher are two of the most important things you can have on your side if a fire breaks out. At State Systems, Inc. we’re happy to provide both! Not only do we provide fire extinguisher installation, inspections and maintenance, but we also train your employees on how to react to a fire to minimize damage and downtime and help you get back on track as quickly as possible. Using a portable fire extinguisher during the first two minutes of a fire is arguably the most cost-effective defense against property damage from a fire. In the instance of small fires, users can put out or contain a fire by using the proper equipment until the fire department arrives. Let State Systems, Inc. help determine the right type, location and maintenance schedule for the fire extinguishers placed in your building located in Collierville. Call us at 866-308-5701 or contact us online. A wide variety of fire extinguishers are available and each type is best suited to a different environment – so installing a fire extinguisher without knowing which type is best for your building can actually do more harm than good! At State Systems, Inc., we’ll help you choose the best fire extinguisher for you based on the extinguishing agent, coverage area and specific application you need. Whether you need a cartridge-operated or pressure-stored extinguisher or a complementing clean agent extinguisher for specific outlets, trust our years of expertise to determine the best fit for you. We’ll consider these selections in the context of additional fire suppression agents in practice and suggest a custom-designed system if needed. Call us today at 866-308-5701 for Collierville fire extinguisher installation services! At State Systems, Inc., we know that even the best fire extinguishers are useless if you don’t have people who know how to properly discharge them. That’s why we provide annual hands-on fire extinguisher training that complies with Occupational Health and Safety (OSHA) standards. Fire extinguisher training has been shown to increase fire extinguisher effectiveness by 250 percent by increasing employee confidence and making them more competent at fighting fires. By using the BuildingReports Web-based system, State Systems, Inc. can guarantee timely tests for fire extinguishers, first aid, and safety equipment inspections—all documented and following OSHA and National Fire Protection Association (NFPA) standards. 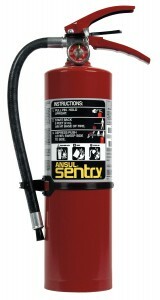 Our Collierville area customers can feel confident in their safety and inspection compliance with Extinguisher Scan, offered by State Systems, Inc.
We partner with the best in the business for fire extinguishers, including such reputable fire equipment manufacturers as ANSUL, Amerex and Pryo-Chem. If you need fire extinguisher installation, service or training for your Collierville, Tennessee building or property, click here or call State Systems, Inc. today!